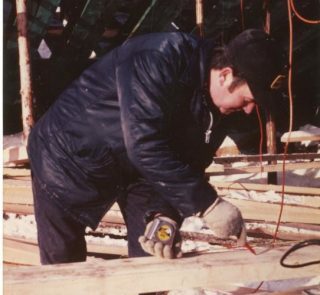 Explore the tools, techniques and materials used in the construction of wooden boats in Newfoundland and Labrador. Swamp boat owned by Arcule Slaney, St. Lawrence. Photo courtesy of Lisa Loder. 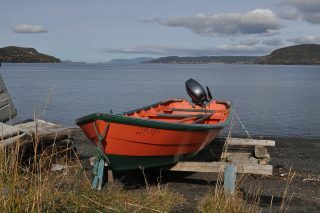 Do you have memories of swamps boats on the Burin Peninsula? 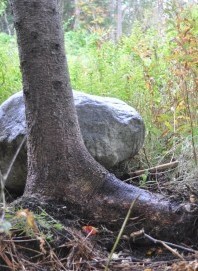 Do you have a swamps model? Do you know of a swamps boats stored in a stage and long forgotten? 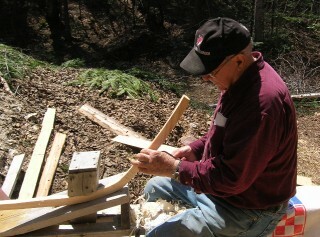 Our Folklorist needs your help! 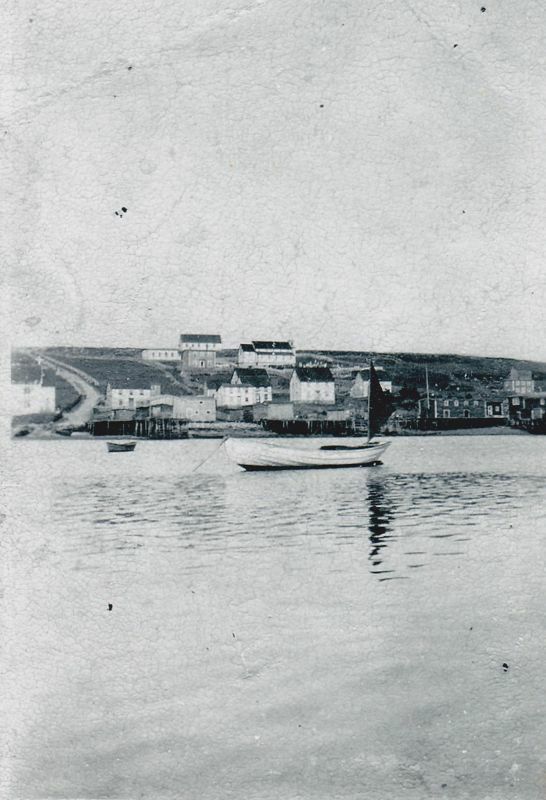 We will be travelling to the Burin Peninsula next week to collect memories, photos or other items related to these boats. To share your photos or memories, please call Crystal at (709) 699-9570 or email folklore.wbmnl@gmail.com. 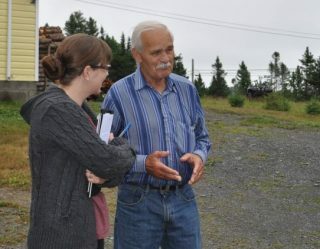 WBMNL Folklorist Crystal Braye interviewing Ray Boone at his home in Summerford. “Well, ever since I was a boy, I see a crooked stick I’d cut it,” answered Ray Boone when asked about getting into boat building. 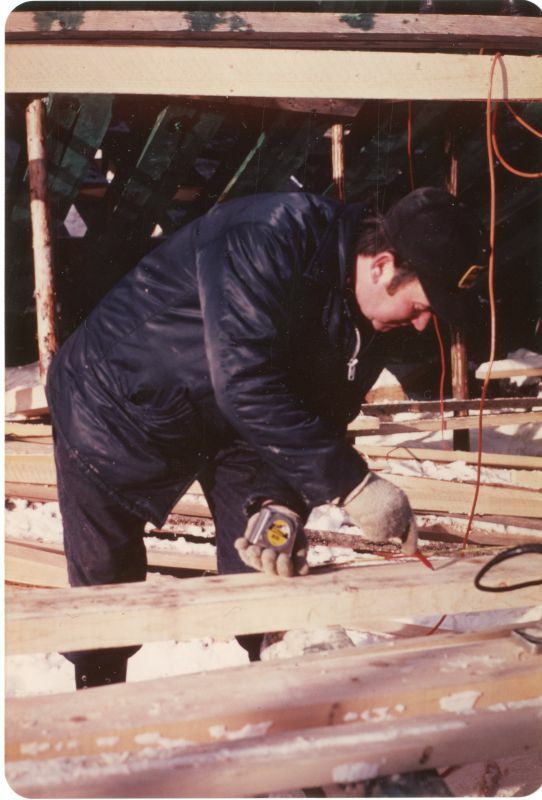 He was around fourteen years old when he built his first boat with his brother, Ron, who was just a year older. “It was a big challenge to take on that… the first one,” Ray noted. 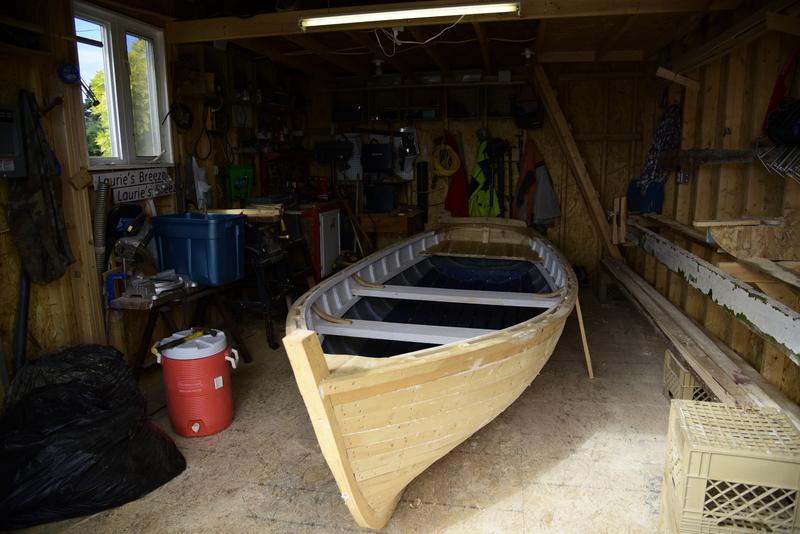 The boat, a rodney, was built by the boys for their father to use fishing for lobster. 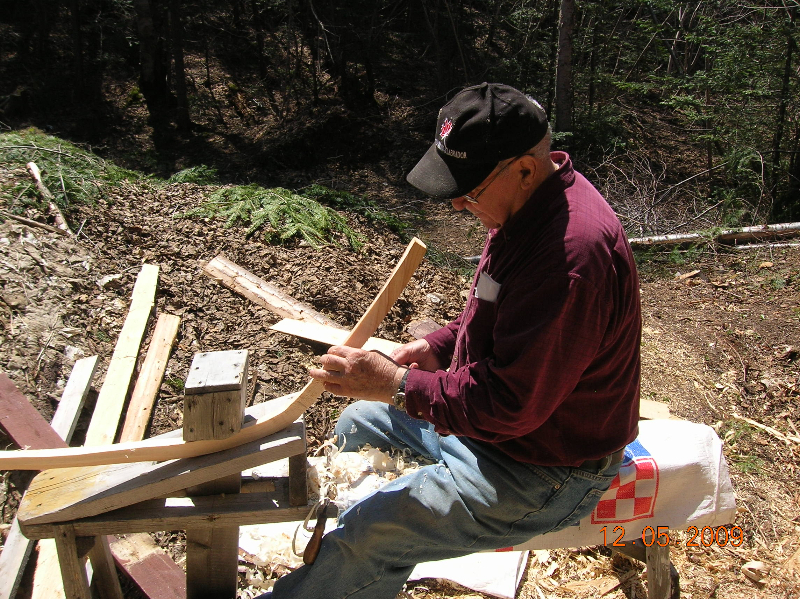 Native Labradorian Joe Goudie began building canoes in 1996 after a chance encounter with canoe builder Jerry Stelmok of Island Falls Canoe in Atkinson, Maine. 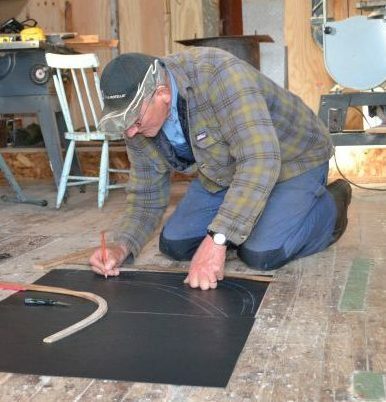 Joe grew up around canoes and had helped his father and others build and repair them, so his interest was piqued when Jerry invited Joe to his shop in Maine. When the Pettens needed a new larger fishing boat, Henry Petten began to consider who they would hire to build her. “We’ll do it ourselves,” said his son Vernon. We’re heading west! 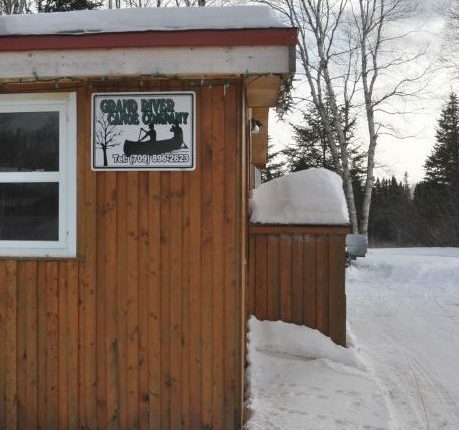 WBMNL documentation team will be in Lark Harbour from May 9-14, 2016. 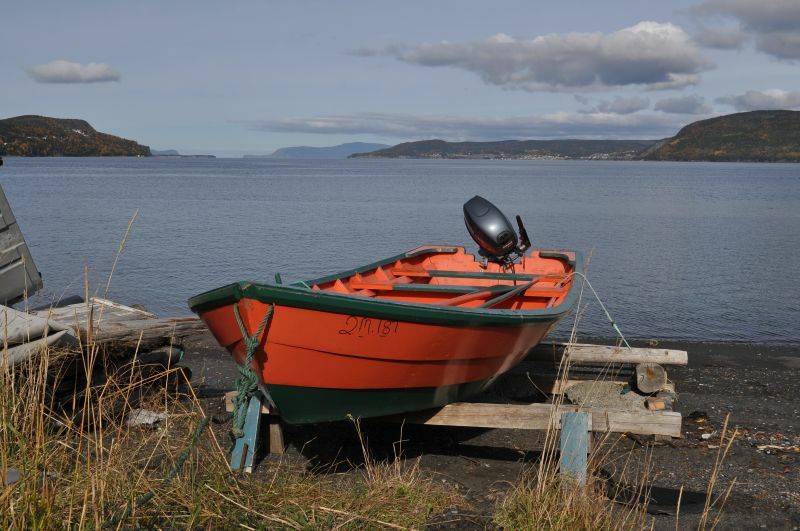 If you have stories, memories, photos or any information to share surrounding the Bay of Islands dory, please contact Crystal at folklore.wbmnl@gmail.com or (709) 699-9570. I first met Edwin Bishop in September of 2015. When I pulled into his driveway, I was greeted with an open garage door and the stem of a small boat barely visible in the sunlight. 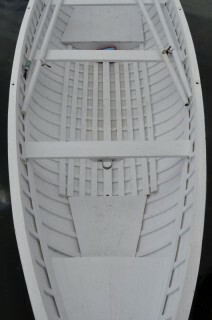 Freshly planked and without paint, it was a clever looking boat that revealed a particular attention to detail. The inside rooms were painted a deep blue with white accents on each side. Edwin was working diligently in the back corner of the shed, but was eager to stop and chat about his project. 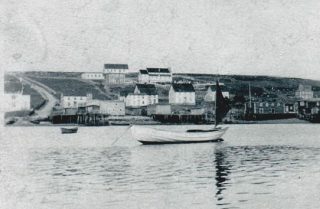 On Deer Island, Bonavista Bay, it was common practice for boat builders to harvest their timber according to phases of the moon. 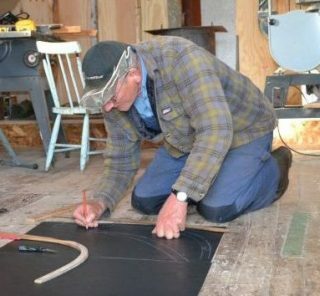 Jack Casey from Conche, on Newfoundland’s northern peninsula, also abides by the cycle of the moon when cutting wood for his boats. Displacement boats are designed to minimize resistance when travelling forward through the water, whereas planing boats are designed to travel on top of the water. Prior to the use of engines, all boats were built with displacement hull forms. 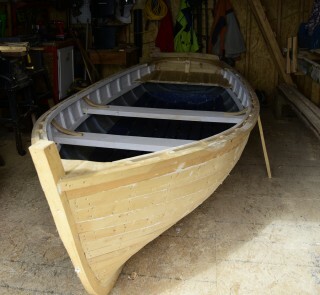 Carvel planking on traditional wooden boats relies on the wood and caulking between the planks swelling to seal the hull against leaks. Since the 1950s numerous marine sealing compounds and adhesives have been developed, allowing progressive boat builders to modify this traditional construction method to take advantage of these new products. 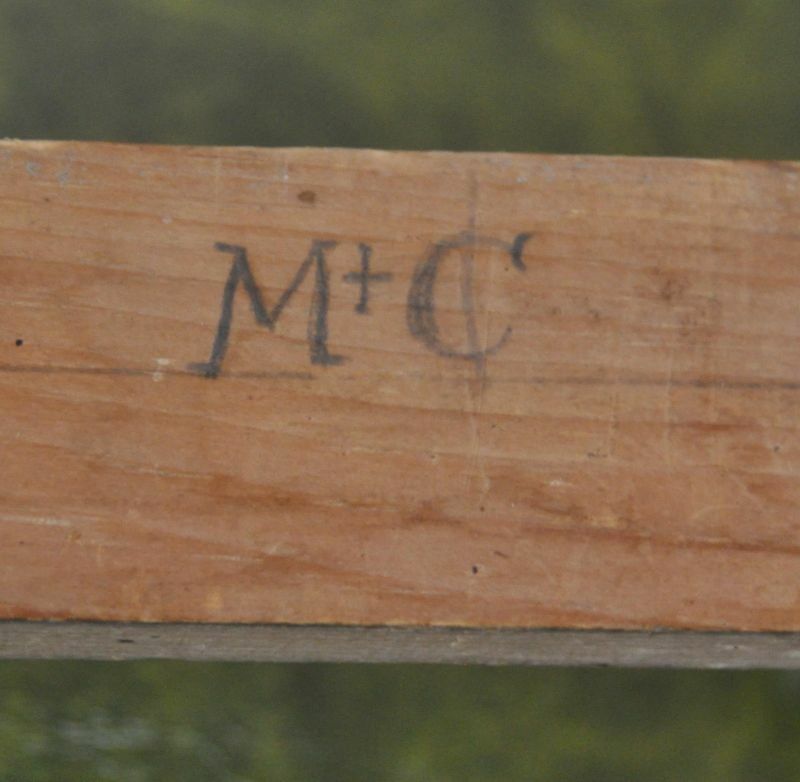 One method of boat design used by wooden boat builders in Newfoundland can be traced to a method of design employed by English shipwrights in the sixteenth, seventeenth and eighteenth centuries. 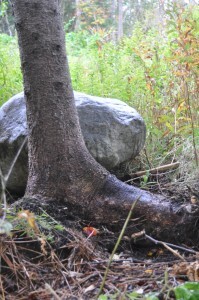 Known as “whole-moulding,” this method was brought by those who settled in Newfoundland during the same period. 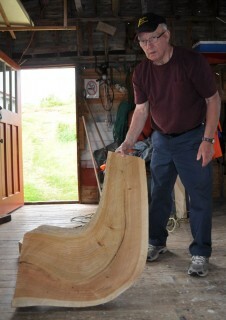 David A. Taylor describes the three-piece mould method used by boatbuilders in Winterton, Trinity Bay. 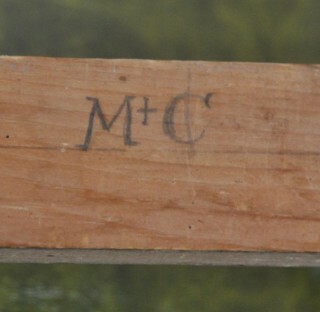 Similar to whole-moulding, Taylor describes these moulds as, “a wooden, three-piece adjustable template used to draw the shapes of the three principle timber pairs”. 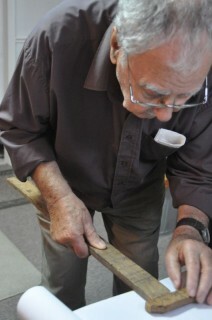 One of three methods of design Taylor observed among Winterton builders during his research in the 1970s, the three-pieces were referred to collectively as “moulds”.